Dodge is one of the only U.S. automakers to have reached success with more than one model of vehicle. Ford might have Taurus cars, but Dodge has many passenger cars that have made best-selling lists in the U.S. Sales of the Neon, Charger and Avenger have built the reputation of Chrysler Motors. Our Dodge car engines for sale include these models of engines. Engines like the 2.0, 2.5, 2.7, 4.7 and 5.7 series are found in our huge Dodge inventory. We specialize in used and remanufactured Dodge engines to give something to all of our customers. We are one of the few online dealers that do all the work in our own engine shop. Each of our Dodge engines are in perfect condition and are very different from what others might sell online. We put a lot of time and energy into the process of engine selection and do things right. We judge engines on a variety of factors and we do not second guess our decisions. We choose to sell engines that are very high quality and nothing less. We know that our Chrysler engines could wind up in many different types of cars. We want to make absolutely certain that what we provide will exceed your expectations of performance and engine quality. Thousands of customers have had orders processed through our company and we work hard everyday to showcase our earned reputation of excellence. We are not salesmen here. We are engine lovers first that just happen to sell engines. Because of this dedication and attention to detail, what you find in each of our remanufactured or used engines is nothing short of spectacular. Many of our engines look just like one that is brand new. Forget about what you have seen online sold on auction websites or catalog dealers. You get Dodge car engines for sale that are very clean and completely ready to install when you receive one. Our team of mechanics personally finds and works on every engine that we have in stock. Whether you want to buy remanufactured or used, you still get high quality with our Dodge engines. One thing that you get is your engine shipped the very same day that your order is placed. This helps cut down any delays or other issues that can be quite common with some shipping companies. The carriers that handle our car engines for sale guarantee us that deliveries are made on time and that no signs of damage will ever be present. Not only do you get a great price, you also get an absolutely free Dodge engine warranty. This is our way of saying thank you for purchasing one of our engines. We take care of your engine. 1-877-630-3873 is our quote line to get our low price. Call it now and speak with our professional engine staff. We don’t make promises we don’t keep. We give out our Dodge car engines price fast. 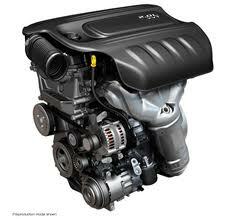 Use our Chrysler engine quote form if you want your quote emailed. You will find we are easy to deal with for all of our Dodge engine needs.